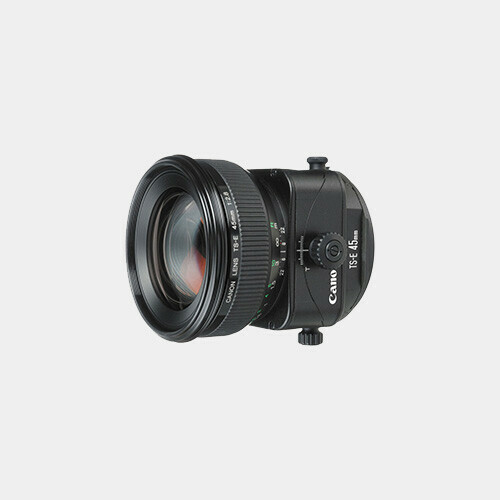 The TS-E 45mm f/2.8 Tilt-Shift Lens from Canon is a standard length manual focus lens for EF mount cameras with a 51º diagonal angle of view on full frame cameras. 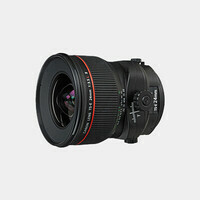 It provides tilt-shift functions to control perspective and correct convergence of lines within your frame. It is especially useful in architecture, landscape, and product photography. The optical tilt mechanisms enable precise control of depth of field along with perspective control. 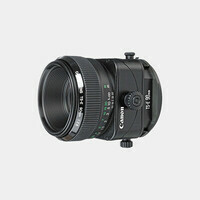 The tilt-shift function on the 45mm f/2.8 lens allows adjustment of the focal plane by an angle of +/-8º and enables parallel shift of the optical axis by +/-11mm. Both tilt and shift can be engaged singly and in combination. The lens mount itself can rotate left or right by 90º with click-stop adjustment each 30º.